Don not mistake this for one of those everyday long lenses that you see at a football match or mountain lookout! Not only will your subject be drawn in closer, but they all be cast in an absolutely unique and radiantly gorgeous softended special effect. Pair this with the Diana+s plasticky (and sometimes leaky) nature and the sheer radiance of medium format film, and you have got an all-new category of analog masterpieces. 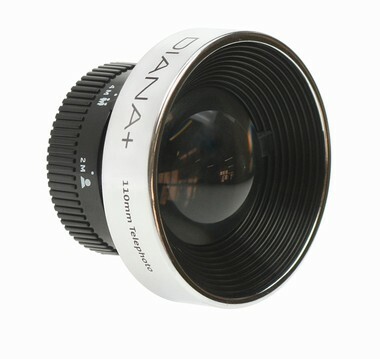 Of course, this lens is fully compatible with all Lomography Diana+ and Diana F+ cameras!